Do you need repair service for your home appliances? Contact our appliance repair company in West Orange, New Jersey. Your appliances will be in good hands with the professional technicians we send your way. We only hire expert techs that can administer quality results. Average service is not good enough for our customers. You expect the best service possible and we are here to ensure you get it. Tur n to West Orange Appliance Repair for same day repairs. 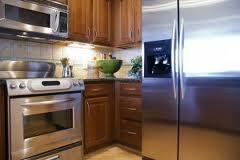 Our local company will arrange for you to receive the best in-home appliances repair. We are very confident in the experts we hire. These techs are trained specialists that excel in kitchen and laundry unit repair. We make sure to work with experienced technicians that are focused and detail-oriented. Everyone we put to work must be able to repair refrigerators, freezers, stoves, and ovens. They need to be able to service dishwashers, microwaves, and garbage disposals. You can count on our company to arrange for a pro to fix all these major kitchen appliances. We have worked long and hard to become the appliance repair company you can trust. You can trust us to only send honest and friendly techs to help you. They will administer quality service quickly and at a pretty reasonable rate. You can rely on these techs to be prompt. They always show up on time. These experts stock a huge assortment of spare parts in their vehicle. They want to make sure they can grab the part they need fast. Everyone we hire shares our commitment to same day repair service. There are so many good appliance repair companies in the West Orange community. We know it can be difficult to choose the right company to meet your needs. We promise to do our very best to exceed your expectations. The technicians we send to your home will work hard until the job is done right. They will not waste time because time is money. You will be truly satisfied with the service you receive. Get in touch with our West Orange appliance repair company today.